Pitch Wars 2018 … Mentors’ Picks! After weeks of reading and obsessing over all the fabulous entries, our amazing mentors have chosen their mentees! The mentors have worked tirelessly reading all their submissions for Pitch Wars. Behind the scenes, there’s been blood, sweat, and tears. The mentors have cried and laughed and shared how much they love your words. There were so many, SO MANY, wonderful entries, and our mentors were sad they couldn’t pick them all. It came down to which ones spoke the most to their hearts. Please know that mentors are not required to send feedback to those who submitted to them. Our mentors have their own books to write, mentees to mentor, jobs, and family life. Some will have the time to send feedback and some will not. Please don’t pester mentors for feedback in their emails, their sites, or on social media. If you get feedback, it’s a bonus. There are many pathways to acquiring your publishing goals. Pitch Wars is just one of a few. Though we know you’ll be disappointed if you don’t find your name on the following list, please remember that you are in the game. Just finishing a manuscript requires a love for writing, and putting your work out there is such a brave act. Congratulations for getting into the game. Every heartache, every victory, will get you a step closer to success. Brenda: If you don’t find your name on the following list, I know how you feel. I’ve had many heartaches and many missteps. There was never a Pitch Wars for me. I’ve been rejected (a lot). I’ve had to change my course (a few times). But giving up was never an option for me, which I’m sure it’s not for you. Perseverance is key in being successful in publishing. We pick ourselves up, learn what we need to get better, and head back into the trenches. I’ve made several friends on my publishing journey. I’m still learning (and failing at times). My wish for you is to keep going, never give up, and gather friends who will cry and celebrate with you through the battle. I admire each and every one of you for taking that brave leap and sharing your work. The support you all show each other touches my heart each day. I’m truly blessed to be in this community with you. Kellye: This is always a bittersweet time for all of us Pitch Wars mentors. We’re super excited for our mentee because we fell in love with their work and can’t wait to make it even better. But here’s a secret: our mentee wasn’t the only amazing manuscript and writer subbed to us. It always blows my mind how many talented people are out there and – as a reader first and foremost – it makes me so excited for the future of publishing. Submitting your work to Pitch Wars was the first step in what I hope will be a long and amazing writing career. And even if your name isn’t listed here, guess what? You still won. Because you finished a book. You were brave enough to show it to four complete strangers. You took part in what is probably the most amazing online writing community there is! Celebrate that. Celebrate you. And, most importantly, get back to writing! Thank you for entrusting us with your work! 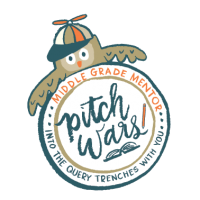 If you weren’t chosen by a mentor, check the blog on Tuesday, October 16 for our Pitch Wars After Party. We will be giving away some critiques! Erin Foster Hartley Breeny N.
Just a quick question, will the ones whom did not get picked be able to get any feedback from the mentors that we submitted to? Like just some general thoughts on our work? Mentors aren’t required to give feedback. It depends on the individual mentor whether they will or not. Each have different situations (ie. work, family, publishing work). But come back on Tuesday and enter for a chance to win a critique in our giveaway. I don’t see Rheea Mukherjee on the list. I submitted to her and was just wondering what happened. Unfortunately, Rheea had to bow out, but we gave her pick to another mentor. I answered this above. But here’s what I said … Mentors aren’t required to give feedback. It depends on the individual mentor whether they will or not. Each have different situations (ie. work, family, publishing work). But come back on Tuesday and enter for a chance to win a critique in our giveaway. And they will send you an email with feedback if they have any. It could take a few weeks since they to get their mentees started on revisions. Oh, I see, not much chance of feedback then. I thought that in your submission database website you’d have created some field where mentors could write something short after they read a submission, and it would be delivered to all participants automatically after the mentee selection. So it wouldn’t be much extra work for the mentors if they did want to leave some (short) feedback. Example: Your query isn’t very good, there are a lot of typos in your pages, this plot sounds familiar, etc. Maybe something to consider for next year. I didn’t say there wasn’t much chance, just that I really don’t know. That could create an expectation from mentors or make mentors feel bad when they then don’t leave a comment on every submission (sometimes over 300). In the end, it is subjective. It could be that there wasn’t stuff wrong with your work, but something else in their pile spoke to them on a deeper level. This reflects exactly what happens in the slush pile of agents and editors. I guess I’m just trying to say that I think the system is fine how it is. It’s a contest we can enter for free. I have paid to enter contests where you get no feedback. If you want feedback, keep searching for betas and CPs (you can never have too many). You said you have CPs so they should certainly be able to say whether your query reflects your MS, or if there’s typos or the material sounds too familiar (if not, find more CPs). I know a fair few mentee hopefuls who didn’t get a single request in PW but have a number of partials and fulls out with agents. It’s subjective. Asking or implying a mentor can/should leave a line of feedback on every submission could deter mentors from offering their [already limited] time. I want to thank everyone involved in Pitch Wars. Even though I was not picked, It has been a great experience. I learned a lot, especially from all the Blog materials on query letters and on editing. I will continue my writing and I will be back next year. Thanks Again! You’re welcome! I’m so glad you had a great experience, Greg! Is it okay to say thanks to a mentor who reached out to us? Not to bother, but just to say we appreciated it? I want to thank all the mentors I submitted to for caring and for all their hard work. This was a wonderful learning experience for me. It has been enjoyable getting to know many of you through Twitter. CONGRATULATIONS 2018 mentees! Thanks to the mentors and all the hard work. I was not selected but will try again! Congrats to all who got chosen and even though I didn’t (this time), I really appreciate the positive energy generated with PitchWars! Keep on writing – the world needs us, now more than ever! Congratulations to all mentees, and mentors! 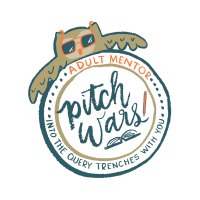 Pitch Wars is an even better experience than I expected, and I’m excited to keep working on my MS (even if not as a mentee this year). Onward & upward! Hey Pitchwars Team! I’ve been checking the blog for the afterparty post and haven’t seen anything. Is it rescheduled or hosted on another platform? Thank you very much! I would like to express my appreciation for everyone involved with Pitch Wars. It was a great learning experience for me, and I plan to return next year.